After the events on Miranda the crew has been on the run in a desperate attempt to stay ahead of the alliance and to keep spreading the word as best they can but in the end they still have to find work and keep flying which has led to more close scrapes than they like. The crew is getting quite a reputation which is causing problems outside there already very dangerous work life! Zoe is contacted by her family and finds out her younger brother has been taken by the alliance for “questioning” as well as Kaley’s father. Simon discovers that his mother and father disappeared years ago after he freed River initially. Even Jane’s mother has had to move yet again when folks started getting nosey about her private business. The crew has to risk a run to Persephone into an obvious trap to attempt to rescue Zoe’s brother and Kaley’s father but things are not always as they appear and the situation is never as cut and dry as you might think! 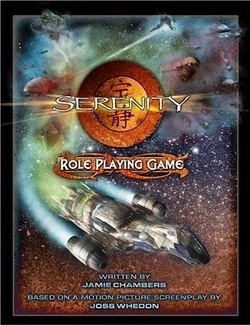 The scenario will have players taking on the role of the original cast. First come, first serve in regards to character choice.